When the economy changes, so does the way we work. Mostly due to the recent recession, more and more people are deciding to transition from a traditional corporate environment to a virtual office. Cost-effective, convenient and better for the environment, virtual offices are starting to take over worldwide. If you're one of the lucky ones who has decided to kiss your daily commute goodbye, you might be dealing with a few concerns regarding the transition. How will you stay professional? Can you stay competitive while wearing your pajamas most of the day? Yes, you certainly can. Virtual office solutions are available that will make you seem bigger than ever, while still enjoying the view from your home office. Your business is defined in many ways by your address. For example, a typical customer or client would be much more impressed by a high-profile downtown office building than they would by a suburban bungalow. Image is everything. If your client's impression of you falters, chances are they'll be more than willing to be wooed by another competing brand. You can remedy this by taking advantage of virtual office packages offered by any number of prestigious business centers. After paying your monthly fee, all correspondence will be delivered to the glossy address of your choice, including courier deliveries and registered mail. Having the kind of address that turns heads will help you stay competitive with other big businesses and ensure that your customers know they are dealing with a professional, experienced company. 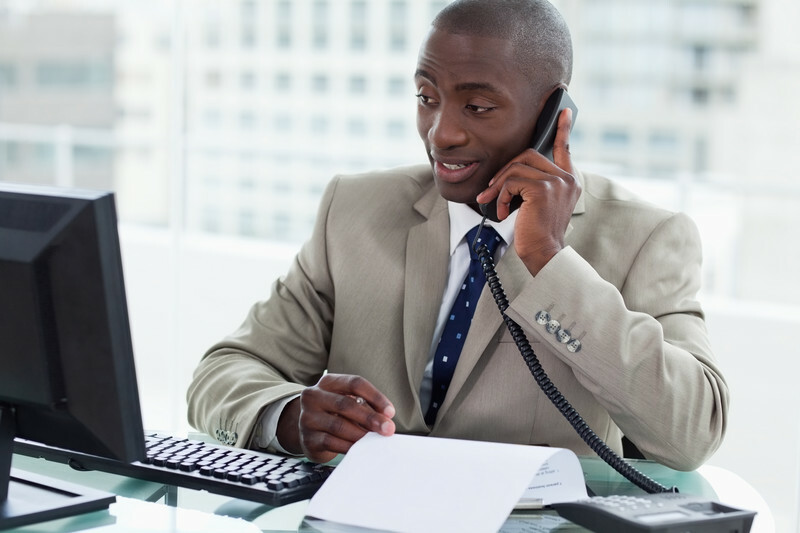 Handling your business calls properly is another key to maintaining the appropriate image. Obviously, you don't want to give out your home phone number! Although the customer is important, you don't want them knocking on your door at all hours and intruding on your personal life. A virtual office reception service is a must have. Secure because it is not linked to any geographical area, your virtual calling service will answer the phone in your company's name, direct calls, and take messages. You can also set up the service with various departments, such as sales or shipping. A little too busy to handle the details? Why not consider adding a virtual assistant to your imaginary corporate headquarters? Call answering, message taking, courier service, meeting and conference preparation, and even bookkeeping are just some of the tasks you can delegate. Depending on the virtual office package you choose, you may also be able to take advantage of marketing or graphic design as well. On top of making your day that much easier, a virtual assistant will also allow you more time to focus on what you're good at, rather than chasing invoices or setting appointments. Larger companies and clients alike will be much more impressed if they think that you've got a team of support professionals working beneath you. At the beginning of your startup business, you will encounter a slew of issues that are seemingly insurmountable. Many of these problems will persist, and you will need to manage them effectively on a continual basis in order to run a successful business. The main idea is to ensure that you address all the issues in a timely fashion, but that doesn't mean you have to get to everything right away. The following four tips will help ensure that you are running your small business in the best way possible. From the very moment you think of starting your business, write down all of the challenges you need to address. This will help you to ensure you address everything that comes up. Nothing is worse than dealing with an issue that could have been addressed with a little planning. This list of challenges should essentially be your action plan. It also helps to prioritize your list so that you are able to address the most important tasks first. Setting goals for how much you want to spend on each line item in your budget will help you stay within the boundaries that you set out for yourself. At first, it will be difficult to estimate how much each budget item will cost. You need to take a look at how much you are able to spend on your startup business and divide the money accordingly in each account. Gradually, you may notice that you are spending more than expected in some areas and less than expected in others. Generally, you should adjust the spending goals each month, based on the previous months' totals. Once your business has been establish for a year, you can add each month of the year's expenses in each account and divide them by 12. That will give you the average monthly spending from the previous year, and it will be a realistic target for the year ahead. When you have a goal in mind about how much money you want to take in at your business, you will be able to see what you have to do each day in order to reach that goal. For example, if you have a revenue target of $6,000 per month, then you need to make about $200 per day to reach your goal. 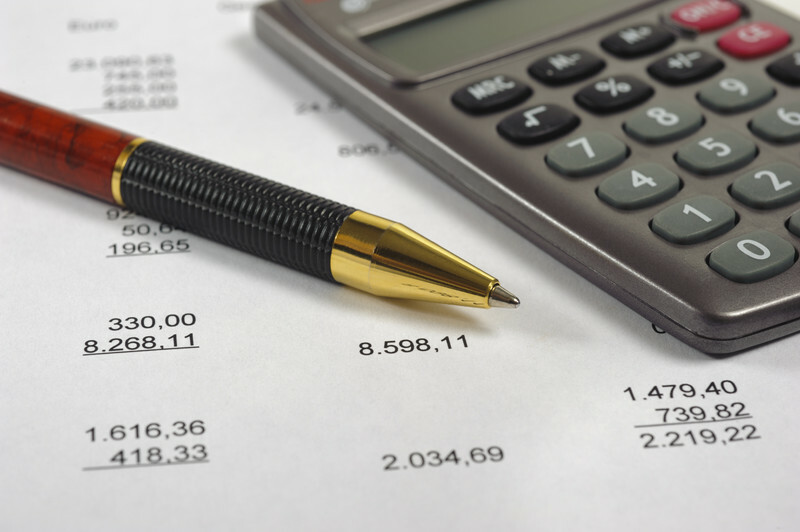 Having an idea of the financial resources it takes to run your business will help you keep costs in check. If your expenses are higher than your revenue, then you need to find ways to boost your intake of cash. Furthermore, the monitoring process will help you see where you might need to make cuts. Setting out goals and consistently monitoring them will help you stay focused and motivated. The difference between the winners and losers in entrepreneurship is the individual's determination to succeed. If an entrepreneur sees they aren't reaching their daily targets, those who work harder to increase revenue will have a successful business. Owning a business that uses a virtual office means that the business owner is unable to keep tabs on their employees' productivity. However, even though the entrepreneur can't check an employee's computer screen as they walk through the office or see how much time they're spending at the water cooler, a lag in productivity is noticeable. Reduced productivity will means a reduced output of work. If you own a business that works from a virtual office and you've noticed that productivity isn't what it used to be, consider trying the Pomodoro Method. Chances are, you haven't heard of the Pomodoro Method. "Pomodoro" means "tomato" in Italian, and this method was so named because of the tomato-shaped timer the founder of this method used. Back in the 1980s, an Italian man named Francesco Cirillo created a new method of approaching work that was designed to enhance productivity by optimizing how much time employees spend on certain tasks. This method involves planning a task, keeping track of progress, recording that progress, processing success, and then visualizing the next step. Cirillo created the Pomodoro Method in order to keep employees' mind focused throughout the day and reduce procrastination. The Pomodoro Method allows the employee to fully concentrate on tasks in short bursts. The first step is planning which task they will attack. The employee will then track their progress, which involves setting a timer (it doesn't need to be tomato-shaped!) for 25 minutes. The employee will concentrate on this task for a full 25 minutes. At the end of these 25 minutes, the employee will record their progress. Perhaps they can check or cross the task off of a list. Then, the employee will give himself a short break lasting 3 to 5 minutes. This is then repeated with another 25-minute bout of work. After 4 repetitions, the employee will receive a longer break of 15 to 30 minutes. How Can a Virtual Office Entrepreneur Incorporate This Method? If you are willing to try a new method in order to increase productivity, incorporating the Pomodoro Method is easy. 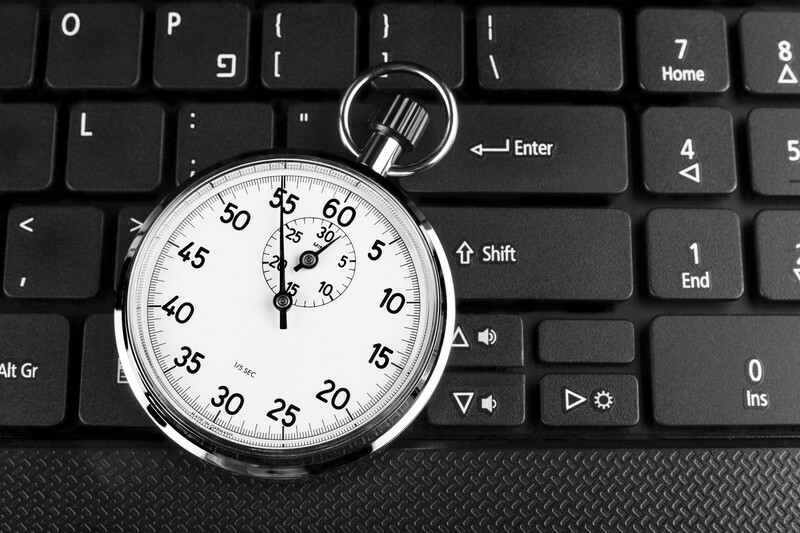 Encourage employees to set a timer for 25 minutes and to work in short, focused intervals. This method has received positive feedback for a number of reasons. It allows employees' minds to stay focused, it helps eliminate frustration that builds when working on the same task for an extended period, and it helps to alleviate fatigue. This method can increase employee satisfaction, and it is also good for business. The Pomodoro Method encourages employees to prioritize tasks and it motivates them to finish tasks well. Businesses using this method have reported an increase in productivity. However, it is important the business owners do not force their employees to use this method. While it will take between 7 and 20 days to fully master this method, this is not suited to everyone. After all, there are a variety of different learning and working styles out there. While the Pomodoro Method might increase productivity in one employee, it might hinder another. Give your employees the option of using this method after a trial period. Times are tough, but that doesn't mean that sales leads have all dried up. Sometimes in order to bring in a whole new customer base, your business just needs to try out something new. So, in the spirit of creativity and fresh ideas, here are six tricks you can use to find new sales avenues, even in troubled economic times. Studies have shown that online shoppers are far more likely to buy a product when they can see a video demo of it. Even if your product is something like a book, a short video teaser can really help to generate online interest. And, if your video is funny or interesting enough in its own right, then the potential for online sharing is huge. LinkedIn is more than just a Facebook for business professionals. These days, smart salespeople are using LinkedIn as a way to reach out to others and generate product interest. The key is not to be too pushy, but rather to build real relationships with people by offering advice and helpful hints to those who ask. Some LinkedIn boards will also allow you to freely post sales pitches at certain times. Play by the rules and you could end up making some profitable new contacts. This is a pretty basic concept, but many salespeople get stuck in a certain region of the world when trying to find new leads. The world is large, so think big. What region have you not tapped into yet that could be profitable for your business? Nothing is too exotic or too far away if you see real sales potential. Again, a new demographic may seem like an obvious avenue, but many businesses can get stuck selling to one particular demographic. Don't allow your sales numbers to determine your selling potential. Perhaps the reason you haven't been making any sales to 18 to 35 year-olds is that you haven't tried to sell anything to them yet. Look to a new demographic that has potential, and adjust your strategy as needed. Think your advertising mediums are tapped out? Maybe you're just not looking hard enough. These days, advertising comes in more forms than just billboards. Have you tried YouTube ads? How about eBook publishing? Or even sponsoring a local event or sports team? Any new advertising stream is a new sales potential. Sometimes in order to bring in more revenue you have to give something back to the public. Reaching out to the not-for-profit world can be a big boost for your business. Volunteering with a board of directors is a great way to meet new contacts, and donating to charitable causes is also a great way to boost your business' public profile. Social media is more than just Facebook and Twitter. Have you tried out Pinterest yet? How about Vine? Many businesses have also had success setting up blogs on Tumblr. Keep a keen eye to the latest and greatest social media innovations, and try out a new prospecting avenue. With all of these methods, it's important to make sure you know how to play the game before you identify yourself as an outsider, or as someone desperately looking to make a sale. New avenues require time and patience but if you learn how to use them properly, you can turn them into major revenue sources. If you're looking to expand your business, consider a virtual office in Beverly Hills. 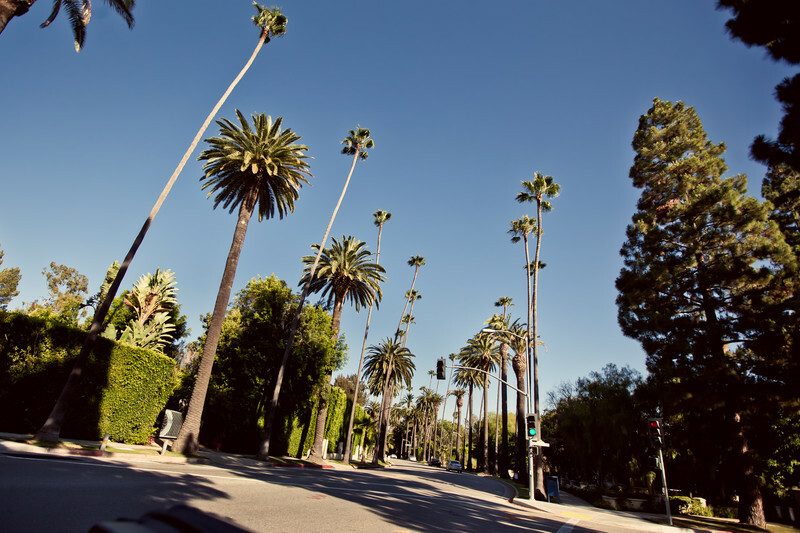 Beverly Hills is a city in southern California that is neighbored by cities such as Bel-Air and Santa Monica. While this area is known as being home to the rich and famous, Beverly Hills has so much more to offer than just mansions. An economic hub with a variety of businesses makes Beverly Hills a fantastic place to do business and grow your startup. In addition to this, Beverly Hills is an attractive place to live. There's lots to see and do on your days off, and the warm, Mediterranean-like climate makes this Californian city an easy place to live and do business. Businesses in oil, entertainment, tourism, hospitality, and more could benefit greatly from a virtual office in Beverly Hills. Beverly Hills is home to Live Nation Entertainment, which is a Fortune 500 company. This is also the location of the original GeoCities headquarters. Underneath the city is the Beverly Hills oil field, which is an asset to the city's economy. Any business would benefit greatly from having a virtual office in this area, as it means networking (and even doing business with) companies such as the Beverly Hilton Hotel, the Wilshire Hotel, and Endeavour Talent Agency. Not only is Beverly Hills a good place to strengthen and grow your business, but it is also a fantastic place to live. After a day at work, entrepreneurs can spend the evenings and weekends enjoying the shopping, the dining, and the culture. Rodeo Drive is one of the best places to shop in the whole USA: with a range of high-end stores, this road has been labeled a fashionista's paradise. There are also lots of dining options, ranging from fast food and diners for those on a budget, up to high-end restaurants like Wolfgang Puck's "Spago." When not busy with work, business owners can also choose to enjoy numerous art galleries and farmers' markets. While Beverly Hills itself is a strong place to grow your business, having a virtual office in this area is also beneficial because it is so close to other economic hubs. For example, West Hollywood is just a short drive away and downtown LA is also close. For entrepreneurs who see the west coast as the perfect place to grow their business, a virtual office in Beverly Hills can provide opportunities in neighboring areas as well. If your business is doing well and you're looking to expand in a different city - or even a different country - consider establishing a virtual office in Beverly Hills, California. The west coast USA is not only an incredibly desirable place to live, but it is also a strong economic hub. A variety of different businesses are doing well in this area, meaning a virtual office here could help your business grow and expand even more. In the past, Working from home usually meant struggling with lack of resources, lack of feedback, and the notoriously difficult task of staying on track. However, as more and more people say goodbye to commuting and the corporate world in favor of virtual offices, support services are constantly developing. Not surprisingly, there are a wide variety of Android apps to help virtual office enthusiasts remain on track. The following three apps are tried and tested and are “virtually” guaranteed to help bring ease to your busy day. One of the key components to any virtual office's success is the ability to maintain the right level of professionalism. Image is imperative, and one of the best ways to impress is with a dedicated business number. Phone.com is a highly reviewed, multi-line telephone app that functions as your private business reception service. Not linked to any geographical area thereby retaining your privacy, Phone.com allows you to place and receive calls on a multi-line system, view faxes, take conference calls, and SMS message from your dedicated business line. A membership is required in order to set up your account, but once you are in the system, you can benefit from additional perks such as 24-hour support and a free first month. Don't make the mistake of thinking that you can handle your calls from your landline. That separation between work and home is crucial for your business's health - and your mental health! As previously mentioned, you need to keep your personal life and working life separate when making the transition into a home virtual office. Touted as one of the best “up and coming” apps on the Android, Divide acts as your personal watchdog, keeping your personal information and your work information separate. Divide allows you to access your email, contacts and calendar from your work server on your personal device without sacrificing your privacy. The app creates a fully secure, fully encrypted, separate workspace on your Android device allowing you considerable peace of mind. If you're a fan of taking embarrassing “selfies” then this is definitely a must-have app! If working at home means that you’re always on the run, the E-Droid-Cell Pro Sheet App will be an important addition to your virtual office arsenal. This amazing app allows users to edit excel sheets from their devices with over 124 different functions and full data computation. One hundred percent Excel compatible, you can create spreadsheets and save them, share them, and print them like you would from any PC. A winner of rave reviews from over 190 different users, this is easily the best Excel app on the market today. Ever find yourself wishing you could work on your spreadsheets in the middle of the park with your little one? Now you can, thanks to this user-friendly and cutting-edge app. There is no need to sacrifice your productivity when working in today's virtual office. Thanks to the constant advances in technology, you can keep up-to-date with what is going on in the office and make your mark in the business world - all without taking off your slippers! 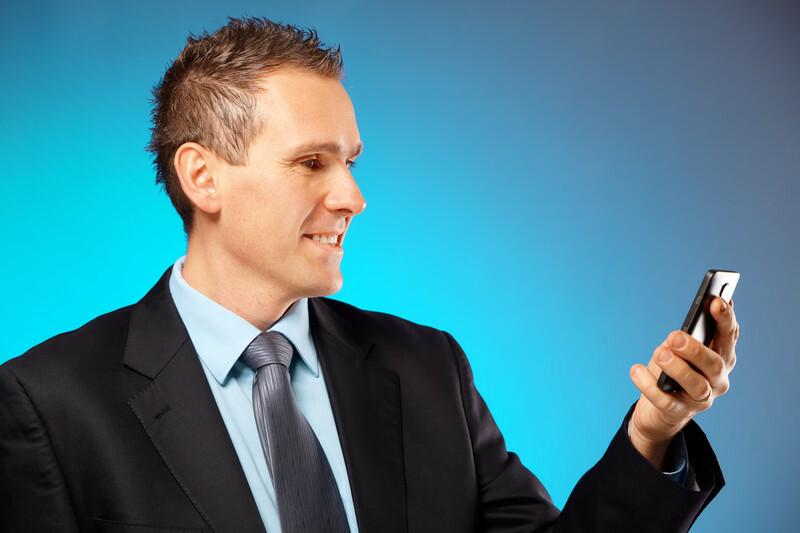 Take advantage of these amazing apps to help boost your image and your efficiency today. It can be easy to stay inside behind your computer screen when lunchtime rolls around. Shockingly, a recent survey found that 75 percent of Canadian workers eat lunch at their desk at least three times a week! Especially if you're working from a virtual office where there are no other coworkers in sight, powering through the day can seem attractive. However, taking a lunch break and getting outside for an hour in the middle of the day can actually be far more beneficial for your business than sitting in front of your computer non-stop. Below are just four reasons why getting outside is beneficial for your health and for your business. Eating while working can be detrimental for your health. Workers who fail to take a break during lunchtime and concentrate on what they're eating are far more likely to make unhealthy food choices. Getting away from work allows you to focus on making healthy food choices. In addition to this, if you're not focusing on two things at once, you will also eat healthier portions; workers who eat away from their desk are more likely to eat smaller portions and stop eating when they're full. Getting outside and away from the office environment can be just the stress reliever you need in the middle of the day. Continuing to focus on work when you're already feeling frustrated can have a negative impact on your health and will likely affect the quality of the work you're producing. Decompressing by going to a short walk or meeting with friends will help you relax, meaning you can approach the afternoon with a better mindset. Sometimes it can be difficult to find time to exercise when you're running your own business, but let's face it: exercise is something that everyone needs to do regardless of their career. Taking a break outside can be the perfect opportunity to get your daily workout. A jog, a swim, or a walk in the middle of the day will energize you, help you feel recharged, and help you focus on your afternoon tasks. When it's sunny outside, being out in that sunshine just feels great! Being outside, even if you're just lying in the grass with a book that you like, will boost your happiness, which in turn will boost your afternoon creativity and productivity. The bonus: sunshine will supply your body with vitamin D, which is needed for the absorption of calcium. Getting outside is important for your body and for your mind! When you work from a virtual office and there are no coworkers around to convince you to take a break and eat lunch with them, it might feel as though working through lunchtime is more productive. However, getting outside and taking a break is actually critical for your body, your mind, and your business. You will feel refreshed, focused, and healthier, and as a result, you can continue to produce your best work into the afternoon. When you think about it, drop shipping e-commerce stores might be called the ultimate virtual office business, and with good reason. Drop shipping can be looked at as an order-fulfillment approach whereby a retailer does not need to retain any products in inventory. He doesn't need to because he can count on either the manufacturer or the wholesaler to ship any orders to the customer. As a result, this type of arrangement offers a plethora of benefits that make it highly desirable for online merchants. 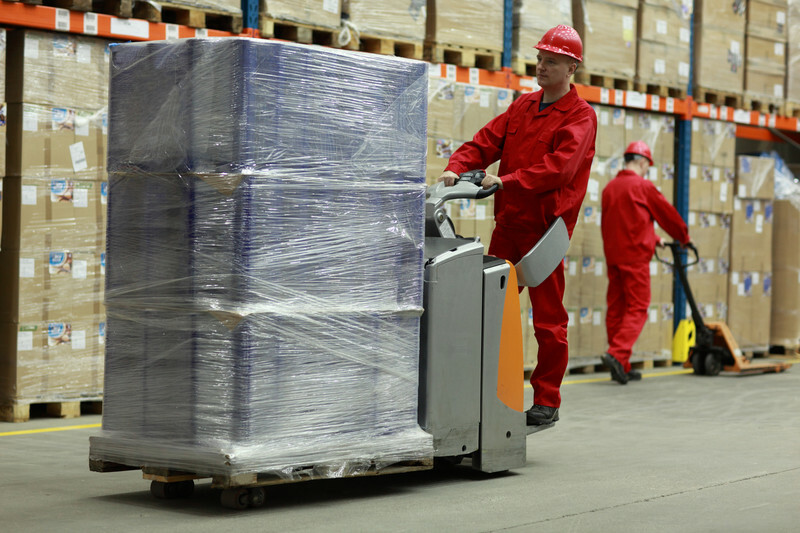 Drop shipping allows a business to offer more products than if it was not using this tactic. A drop shipping e-commerce store allows a merchant to sell more items than if he had to actually contend with an inventory. Having a physical brick-and-mortar store means that a merchant would have a limited amount of space to store his inventory - not so with a virtual office! With a virtual office that doesn't require space for inventory, the merchant is easily able to expand the range of items that he's offering to customers. This can also aid marketing: every product page can double as a landing page. The beauty of drop shipping e-commerce stores is that you don't have to keep your products in inventory because the manufacturer or wholesaler will ship them if an order comes along. As a result, you get to reduce the investment exposure since the entrepreneur doesn't need to provide an upfront investment. All he requires is a virtual office to help him run his drop shipping outfit, and manufacturers and wholesalers will take care of the rest. Another benefit of this is that an e-commerce startup does not require that much money to get started and off the ground. You can also experiment with bringing in entirely new lines of products without having to make an inventory commitment. For instance, your drop shipping outfit may specialize in a few different types of riding saddle. From time to time, your customers ask you why you don't feature any English riding saddles. This gets you thinking about introducing such a line: if you can reach an agreement with a supplier of English saddles, you can test the waters on your site by selling English riding saddles, but only for a limited time. You could do this without an investment, and you'd see whether or not introducing that new product line would make sense from a profit standpoint. Drop shipping e-commerce stores and virtual offices were made for each other. Your drop shipping business does not need an actual space to house inventory, which means you can comfortably rely on a virtual office to manage any agreements with either the manufacturers or wholesalers that will ship your products when you have orders coming in. As a result, you can save a good amount of money because you do not have a need for renting office space and housing all your inventory. You’ve got a killer plan, you’ve got the capital, and you’ve got the support you need from your family and friends. So, why haven’t you started your own business? If you’re like most people, it’s probably because you’re afraid. And seriously, who could blame you? There’s a lot to be afraid of when you’re starting your own business. In fact, there are countless things that could go wrong. Obviously, most of the concerns are financial. When you leave your job, you’re giving a lot up. You lose financial security, and that’s a serious problem if you have a family that relies on you to keep everyone clothed, fed and sheltered. Monetary concerns aren’t even the only ones. Becoming an entrepreneur means being in compliance with a lot of laws that you’ve probably never learned anything about. Many people are afraid that they’ll do something wrong and end up with an unpleasant visit from the taxman, or even the police. The dark specter of failure is itself a deterrent. Even when you don’t have any real fears, the simple fear that you could fail could be enough to keep you from pursuing your dream of becoming a small business owner. You may be afraid that you’ll lose the respect of your family and members of the community. Finally, you may be afraid to pursue your dreams because once you’ve failed it; you may not ever get another chance to try it. The first thing you have to understand is that everyone deals with these fears. 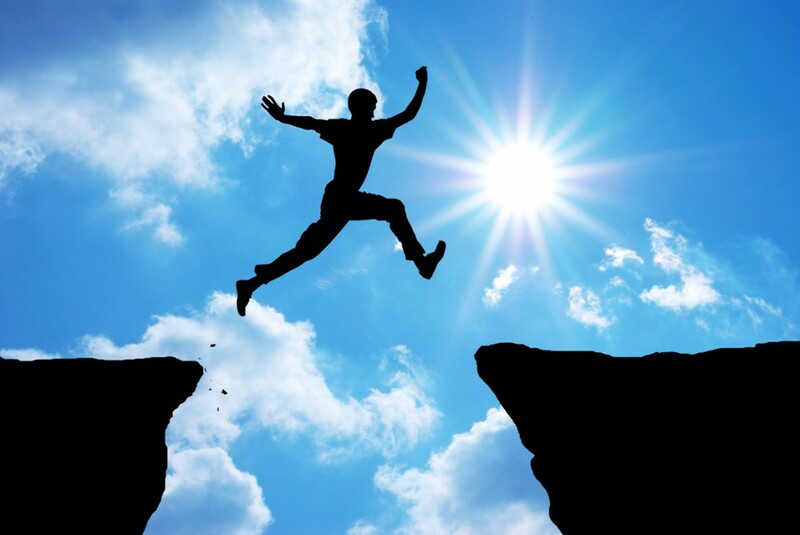 Many people have overcome these fears and gone on to be very successful business owners. There are several strategies you can use if you want to beat the heebie-jeebies and start your own business. If you have some fears about starting your own business, some of those fears are probably entirely legitimate. You shouldn’t jump into starting a business unless you feel at least a little bit of confidence about the plan you have to succeed. The only place you’ll get confidence is from knowledge. So, build that knowledge by knowing everything possible about your business plan. Where am I going to get my capital? Where am I going to get my first customer? How many people actually want my product? How will my business grow and expand? If you can answer all of these questions fully, you’ll be in a better position than most people who start a business. Obviously, there is always some risk when it comes to starting a business, and there are always some things that you’ll never know before you dive in for the first time. However, you should find that you are a lot more confident when you can answer the most serious question. If you want to feel a bit more confident about starting your own business, you should learn more about the people who’ve already made it. If you want to be successful, you’ll have to learn to emulate successful people. For the best results, you should focus on learning more about people who are already successful in your personal industry. If you don’t know of anybody who does what you do, then you may just be able to find out what you need from other famous and successful entrepreneurs. If you want to get an even deeper understanding of how entrepreneurs become successful, you should talk to one. Most people love to talk about themselves, and they will typically be receptive to people asking about how they became successful. With any luck, you’ll know a friend or family member who can tell you what it’s like to own your own business. If not, you shouldn’t be afraid of asking people in small businesses near you how they got where they are now. The great thing about speaking to other entrepreneurs is getting some perspective on the kind of challenges that you’ll actually face once you’ve already taken the plunge. You’ll also get an understanding of how to deal with the real problems. If you’re very lucky, you’ll make a friend who you can turn to as a mentor while you’re facing the challenges of your own business. Some people start their businesses because they have an idea that can’t be beat. Others start their businesses because they have a passion, and they can’t imagine doing anything but that passion. Others though, they just can’t take working for a big business, and they don’t want to be part of it anymore. If you’re one of those people, remembering what you hate about not working for yourself can be very motivating. There are a lot of usual suspects to consider. Many people hate how dehumanizing the modern workplace has become. Things like dress codes, micro-managing, and the regulation of off-work behavior is enough to make anybody a little bonkers. Others hate the bureaucracy and the inertia of working in huge businesses. Those that are dedicated to fixing problems always have a little trouble when change is hard, and has to go through dozens of channels to even be considered. If you’ve lost patience with working for someone else, you can use that frustration to empower your motivation. It can make it easier to move forward and harder to give up if you remember what you despise so much about working for someone else. As long as you know that you don’t want to go back, you won’t be able to forget why you started in the first place. Hopefully these tips will hope you see past any fears that have held you back. Of course, most entrepreneurs will tell you that there is a lot that you can’t possibly learn before you get started. If you want to know what it really takes, you’ll have to get started. There are few things more exciting in business than getting a lead that looks like a sure thing. 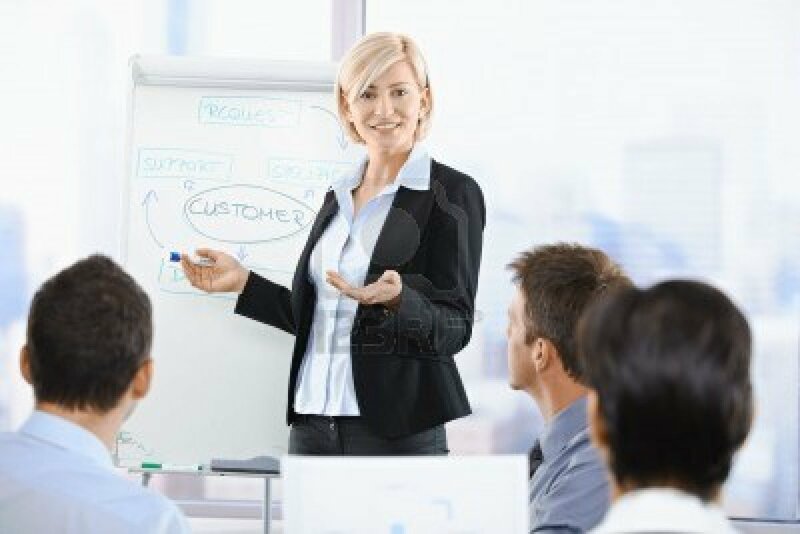 The client comes to you, seems curious and wants more information, says he or she is excited about working with your product, and tells you everything seems to be in order. But then…silence. For some reason, the client won’t close, and isn’t being clear with you about why. Clients who won’t close are a serious problem. Usually by the time you’ve reached this point, you’ve invested a ton of time and energy. You can’t exactly give other leads the attention they deserve when you’ve got a client who is already about to sign. It’s up to you to make sure a client closes as quickly as possible. When that doesn’t happen, there are some strategies that you can use to try to speed up the process. When dealing with an interested client who won’t close, you may want to try the following methods. If you have a client who won’t close, it may be because they don’t have enough information. Some people are just naturally bubbly, so they’ll sound like they are more interested in your deal than they really are. They might also be a lot less willing to discuss their doubts and misgivings. The best thing you can do when you run into a client like this is make sure that everything is on the table and easy to understand. Ask your potential client about any questions they have. Even if they claim they don’t have any questions, check back over everything that you’ve given them and make sure that you haven’t excluded anything important. Send them extra material if you find anything they may have missed. It may also be helpful to send them old information, but in a new context. If you think that the client won’t close because he or she doesn’t have (or just isn’t reading) the information, you should consider doing some research. Look into exactly what your client does for a living, and examine how your product or service would change the way they do business. Rebuild your pitch materials around their exact circumstances, and try again. Applying a little pressure can be a great way to close a deal with a reluctant client. This can be a very dangerous tactic though, so make sure that you proceed with reasonable caution. Before you try to exert any pressure, judge how close the client is to closing. Pressure is very risky unless the client is already extremely close to making a deal with you. There are many ways to exert pressure, and many of these tactics are hundreds and even thousands of years old. A common tactic is to try to convince the client that the offer is only good for a limited time. If that isn’t plausible, you could at least argue that the pricing will only be available for a limited time. You may also want to suggest that you have other clients lined up, but only limited spaces to take on new clients. If you feel the client won’t respond well to something that could be taken as a threat, trying appealing to their sense of generosity instead. Subtly suggest that it would hurt your business if you had to wait any longer to hear an answer, and think of a tactful way to remind them that you have already spent a large amount of time on them. Sometimes, all it takes to close a deal is to make the pot that much sweeter. You’ve probably already tried to give your client a great deal, but there is always something else you can do to make them more interested. As in most cases, you should start by doing a little more research into the client and what they might want. When you are trying to make the deal a little better for the client, it’s important to target them with things that you know they want. If there was one particular part of the deal that they seemed very interested in, you should focus on that part first. If they don’t seem interested with any part in particular, look for low cost but thoughtful things to throw in as a bonus. Tickets for concerts, sporting events, and other fun events are good options. Sweetening the pot is a good strategy, but you should be aware that there are some risks. For example, if you trying it more than once, your client may just assume that they can get more from you the longer they wait. That’s exactly the opposite of what you want, so always be careful with this strategy. Trust is one of the biggest issues with closing a deal. Even if a client loves the deal and wants your product or service, trust may stop him or her from putting a signature on the paper. When you think your client may not trust you, your best option is to try to develop a closer relationship with them. With any luck, your client may trust you more. Developing a relationship is already one of the oldest tactics of salesmen. It’s the reason that popular culture about business is filled with golf games and martini lunches. You take clients out so they get to know you better. When they know you better, it’s harder for them to turn down your deal because they see it as a rejection of you in addition to the deal. That’s a harder choice to make when you can stick a face on a deal. The tips we’ve gathered for you are based on strategies that have worked a very long time. However, they aren’t even close to the only options. The only way to learn some of the most effective tricks is to try them out in real life. Once you’ve closed enough deals, you’ll know more tricks than anyone else could teach you. Do you find yourself getting overwhelmed with stress during the work day? Maybe you just need a vacation. Not a long one, obviously, because you can’t just take a vacation every time you feel tired at work…or can you? Even if you don’t have time to relax at the beach or camp out under the stars, you can still give yourself a mini-reset by focusing on something that you enjoy. These enjoyable activities don’t take long, and they can make you feel a lot better about your work. So, if you are losing motivation at your job, just take one of these tiny vacations to get that motivation back. If you feel restless at work, a brief change of scenery may be all you need to get back in the zone. Also, moving your legs a little certainly won’t hurt. Find a quick excuse to take a quick walk wherever you are. Perhaps you can use the opportunity to refresh your beverage or grab a quick snack. For the best results, you should pick up the pace a little when you’re walking. A slow lumber will not refresh you as much as a quick stride. You may even want to jog a little if you have the room and aren’t worried about people watching. If you’re one of those people who can still get all their work done listening to music, you should definitely take advantage of it. Music is a great way to stay motivated and keep yourself separated from other types of distractions. However, some people just can’t enjoy music because they can’t work while listening to music at the same time. Even if you are one of these people, you can still take a 3 minute break to enjoy at least one song. Listening to your favorite song is a great way to chase away boredom and pump up your mood a little. For the best results, close your eye and block out everything until you’re done listening to your song. It will be a little harder to take a desk vacation if walking around the place or putting on headphones isn’t acceptable. However, there are plenty of things you can still do at your desk. Doing some low-intensity desk exercises may help find your center again. You can even do a whole body workout while you’re typing or making a phone call. You can start with the legs. Lift them off the ground while you are sitting in a chair. Either hold them there or move them back and forth until you feel better. With your core, you can just flex your abdominal muscles until you feel a light burn. There’s plenty to do with your arms as well. Stretch them behind your head or lock your hands and pulls them in the opposite direction. Sometimes you need a mini-vacation because you are completely pissed instead of just bored with your work. If that’s the case, it’s usually a good idea to find something to take some anger out on for just a little bit. If you don’t see any other good candidates, you should reach for a stress ball. If you don’t already have a stress ball, you should get one. They are usually very cheap and you can find free ones all over the place at conventions, fairs, and other social events. Once you have your stress ball in hand, just squeeze the ever-living hell out of the thing until you feel better. You might be surprised how quickly it is that you actually feel better. A lot of motivation problems can be traced back to hunger. Maybe you just need a light snack to get you back in the saddle. It’s all the better if you don’t have any at your desk, because the trip to go get a snack can be a tiny vacation in itself. The type of snack you decide to retrieve can also have a large impact on your mood for the rest of the day. If possible, try to get a snack that is healthy. A sugary snack may sound like a sweet mini-vacation, but it will also come with a big crash in a couple hours. That crash could make your problems even worse. A fatty snack may leave you feeling bloated and uncomfortable—which certainly isn’t conducive to doing good work. Your best bet is a healthy snack that will leave you feeling refreshed. 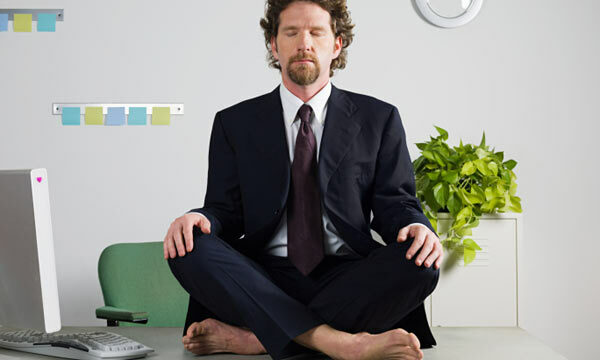 If you can get a few minutes of silence wherever you are working, you should give meditation a try. Meditation isn’t some complicated set of secrets held by ancient monks. It can be as simple as you want it to be. There is an argument to be made that simplicity is the whole point of meditation in the first place. All you have to do is close your eyes, try to clear your head of thoughts, and focus on the thoughtlessness. If that doesn’t seem to be working for you, try to focus on just one thing and block everything else out. If you are surrounded by noise, you may want to try humming and focusing on the sound that you’re making. Now we are starting to get closer to a real vacation because you’ll be leaving the workplace for at least a little while. If you have the opportunity to eat out, you absolutely should. If you’re a tight-budgeting entrepreneur, you may not want to take the risk of eating out, and that’s just fine. Simply take your packed lunch to a park or square and enjoy it there. If you do want to eat out in a restaurant, you should choose someplace that will get you out of your element for a little while. Don’t go to the chains that you always go to when you’re working. Choose a little hole in the wall you’ve never visited. Perhaps consider grabbing lunch at a pub where they’ll be music and people to talk to while you’re eating. If what you need more than anything is a friendly space to be alone, just crash in your car for a few minutes. It belongs to you, and no one else can invade it, so you’ll be completely safe for some alone time. You can enjoy sitting in the silence, or you can turn some music up very loud and enjoy the sound. We all need more breaks than we can usually get. Hopefully, these micro vacations will help you find a little more peace and motivation in your work day. There are few feelings worse than being completely burned out with your job. For entrepreneurs, it’s a very dangerous thing. There is no one who is going to pick up the slack for you if you lose the urge to keep doing business, and there is no corporate bureaucracy to hide in until the frustration passes. This is a serious problem because being burnt out can easily drag down your business. When you’re burnt out, your work will take a hit. You’ll be giving your customers lower quality, and losing the enthusiasm that helped you build your business in the first place. Your lack of concern and confidence will be evident whenever you try to expand your business or develop new leads. You know it’s a serious problem, but as a small business owner, you’re used to taking drastic steps to improve your life. There are a lot of big and small ways you can beat the burnout, and we’re going to suggest some that may help you. Many people pride themselves on how much work they can do without taking a break, but that isn’t always the healthiest way to go about a job. The consequences of never taking a break may not be evident until you’re already completely burnt out. By then, it may be too late. Take a vacation whenever you reasonably can, even if it’s only for a day. It will help you come back fresh and ready to face your job again. Taking a vacation is also a good way to put your work in perspective. Not only will you burn out less often, your work may improve in unexpected ways from taking a moment to step back. Sometimes all it takes to cure a case of being burnt out is changing the scenery. Your workspace can have a powerful effect on how you approach your work. The problem could be as simple as a setup that is uncomfortable for working. Consider changing things like your chair or desk, or the position of your monitor. If you’re feeling particularly burnt out, you may just want to take the proverbial axe to your home office and start from scratch. If this is the case, then you should consider changing your wallpaper, lighting, and the decorations in your room. You may also want to adding something like a fish tank to give an office a real flair. Sometimes a change of schedule can really help when you feel burnt out. The routine can become monotonous and painful, which makes it hard to get any work done. You may notice an immediate improvement if you start messing with your schedule. Do you work during the mornings? Try doing some of that work in the evening. Do you like to work in the evening? Try seeing how you do when get most of your work done in the morning. This will rearrange your work schedule, but more importantly, it will rearrange your off-work schedule. You’ll be opened up to an entirely new set of activities to do in your free time. If you start taking the mornings off, you’ll have more time to enjoy the sunny parts of the day. If you take your evenings off, you’ll have more freedom to enjoy the night life. Sometimes it feels good to just collapse and do nothing at all with your downtime. That works for some people. For others, it just makes the problem worse. Many people have found that having more substantive hobbies can help make coming back to work easier. You may want to try developing more skilled hobbies. Painting, woodworking, and active hobbies like boxing and dancing are popular options. There are also interesting things to do at home like cooking, home brewing and sewing. Having an involved hobby can be hard but it can also make it easier to return to work, and give you a greater sense of personal satisfaction about your life. If you’re feeling burnt out, it could just be because you’ve reached the peak of what you can accomplish with what you’re doing right now. You could be sticking to less than you’re capable of just because you’ve become used to it. Your next step should be to aim for some way to advance in your job. This usually means taking on some new responsibilities or even changing your field. You should focus on trying to find out if boredom is your problem. You should also examine if you actually have any trouble doing your job, so you can measure whether you’re capable of more. There are always more ways to do business if you’re looking for them. It may surprise you to find out that a lot of problems with your motivation can be linked to your health. If you can’t figure out anything else that could be wrong, you should start looking there. It is not at all uncommon for entrepreneurs to develop unhealthy habits. You should fix them if you want to feel burnt out less often. Try to eat less junk food. Cut down on alcohol if you notice that you drink a lot. You should also make sure you are getting a decent amount of exercise. Finally, make sure you are getting a lot of sleep, because that can also have a major effect on your ability to work. While there may be parts of your job that you don’t enjoy, there are probably at least a couple things that make you feel good about your abilities. If you don’t want to experience being burnt out, you should try focusing on those parts whenever you can. If possible, develop them to the point that you can do that part as much as possible. If you are successful enough, you may find that it is very helpful to hire some people to do the parts of the job that you hate the most. That way, you can focus only on what you feel passionate about with your work. If you are getting bored with what you’re doing, you may find out that you don’t really need to do it anymore. Most jobs are changing very quickly these days, and new developments can turn an awful job into one that you learn to enjoy doing again. There may be a lot more to learn out there, if you look for new developments in your field. You should check out the trade magazines for your job if you want to find out if there are any new developments. Also poke around online and see if new ways to do your job are being developed and adopted. You may find out that you can bypass some of things you used to hate. Looking for new ways to challenge yourself is a great way to avoid getting burnt out. Don’t stay satisfied with what you can accomplish now. Challenge yourself to do better if you find that it doesn’t take much effort to do what you do now. Of course, challenging yourself to do a little better won’t mean much. Instead you should focus on developing specific goals. Try to aim for the fringe of what you think you can handle. You may surprise yourself with how much more you can accomplish when you challenge yourself. Everyone needs a little help every now and then, and entrepreneurs are no exception. Starting a business is incredibly difficult, and keeping it afloat can be even more difficult. It can sometimes be extremely helpful to talk to someone who understands what you’re going through, and knows how to help you get better at what you do so you can start to improve. Of course, many entrepreneurs lead very lonely lives. Finding someone who understands what you’re going through can be very difficult. It can be even harder to find someone who could actually offer you advice that’s relevant to the difficult challenges that you face every day. Even if it’s difficult, there are many reasons you should try to build a relationship with a mentor. You may find that with a mentor, you can reach levels of success that were not possible when you were going it alone. There are many ways to find a mentor, and there are a lot of ways that a mentor can help you. We’ll start by explaining how to find a mentor in your area. After that, we’ll tell you how to make the most of having a mentor around. Finding a mentor can be very difficult, especially if you don’t already have someone lined up. If you do already have someone lined up, you should skip to the next section about how to take advantage of a mentor. This section is going to focus entirely on how to find a mentor in your local network. We’ll begin by discussing some of the first places you should look. You can find good candidates in all of these places, depending on what you’re looking for in a mentor. Remember that a mentor doesn’t need to be in the same exact industry as you to be able to give you good advice. You could be struggling with many different parts of running your business, and you may be surprised who could offer you the advice that you need to overcome your latest challenge. Knowing where to find mentors probably won’t help you that much though, unless you also know how to choose the right one. 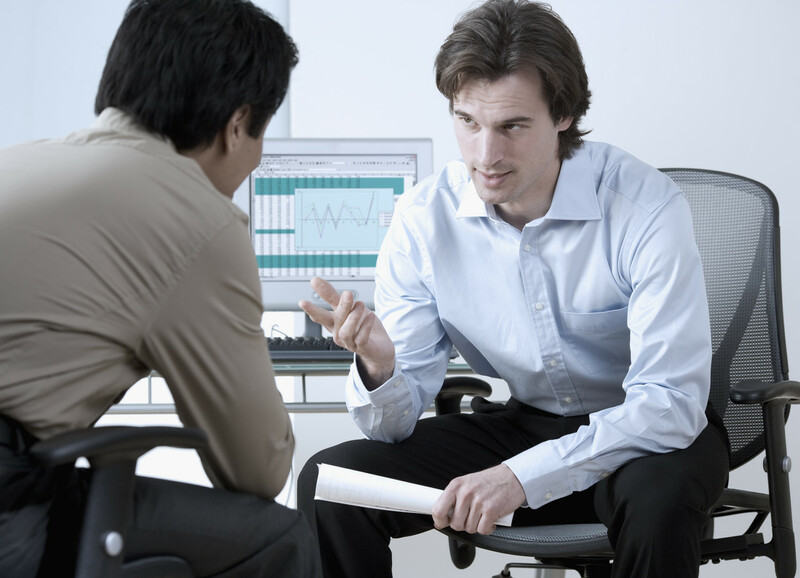 There are specific qualities that you should look for when you are choosing the right mentor. We’ll go over some of those qualities now. Choosing the right mentor is extremely important and there are several reasons why you don’t want to choose a mentor who doesn’t have all the qualities you need. First, a mentor that doesn’t meet your needs could actually be bad for you. You won’t be able to get good advice from an inadequate mentor, and that defeats the purpose of having a mentor in the first place. You may not be lucky enough to find a mentor with all of these qualities, but you should be able to find someone who can at least offer you expertise that you don’t yet possess. After you’ve found someone who can serve as your mentor, it’s important that you utilize your mentor correctly. We’ll give you some tips on how to do that now. Now that you have a mentor, it’s important to remember why you are taking advantage of one in the first place. Hopefully, you’ve picked a mentor who can teach you things that you don’t know, and help you out with advice when you’re dealing with a situation that you don’t understand. Of course, none of these benefits mean anything if you aren’t taking advantage of them. You need to find opportunities to speak with your mentor and take his or her advice seriously. It can be very easy to lose contact with people when you’re focused entirely on running your business. You want to avoid this as much as possible, but it’s particularly important to keep up with your mentor. Try to keep him or her informed of your situation as often as possible. That way, they’ll understand what you’re going through, and be able to offer you more relevant advice when you do come to them with questions about what to do with your business. The whole point of having a mentor is taking advantage of their expertise. You can’t do that if you’re too proud to take advantage of the advice that they give you. Even if the advice doesn’t make sense when you first hear it, you should try it out to see if it works for you. You may be surprised at how effective good advice can be when you’re starting out. If that advice is frequently successful, you’ll know you have found a mentor that you can trust for the long haul. The sooner you find a mentor, the better off you’ll be. Starting a business is not something that you want to take on alone, and you won’t have to if you find a mentor you can trust with your most serious questions. As the so-called "mobile revolution" has swept the world of technology, many small business entrepreneurs have been left behind, relying too heavily on outdated methods of marketing and advertising. That means that if you're a small business entrepreneur who's looking to capitalize on mobile technology, you'll quickly set yourself ahead of your competition if you play your cards right. If you're running your business from a virtual office, you should already have a good understanding of the importance and benefits of mobile technology. Here are three ways to leverage this growing market to benefit your small business. When smartphones were first introduced, businesses everywhere rushed to adapt their web sites to this new mobile environment. Since then, use of mobile web sites has continued to grow, but in the past few years a new trend has emerged: mobile apps. Since 2011, use of mobile websites has started to plateau, while app use has grown. Today, app use far surpasses mobile web site use. That means that if you really want to leverage mobile technology, you'll need to create not just a great mobile web site, but a great mobile app as well. Creating an app can be as simple as packaging elements of your existing website into an easy-to-use app, or it can mean creating a whole new mobile program that keeps users connected with your business in some other innovative fashion. Not only are apps more popular than web sites these days, they're also better for making money. You can charge a download fee for your app, or you can use it to sell ad space to other companies. One of the biggest digital benefits that many small business owners are missing out on today is digital ad space. While many still rely on print, television, and radio advertisements, forward-thinking entrepreneurs are capitalizing on this emerging digital market. Mobile ads are great for small businesses because they are targeted, come with a high rate of return, are easy to track and analyze, and can be purchased for as little as $100. This means that mobile advertising is easy to invest in, and also comes with less risk than older forms of advertisement. You've probably heard a thousand times by now that a strong social media presence is a key for any successful small business, but have you thought about how your social media presence leverages mobile technology? In other words, are you using mobile-friendly social media, or do you still expect people to be connecting with you through desktop computers? The reality is that most social media traffic today is mobile, so users are looking for content that is tailored to the mobile world. This usually means shorter posts coupled with lots of photos and videos. And don't miss out on the marketing power of mobile-specific platforms like Instagram and Vine. Reaching out on these platforms could really help you to increase your customer base. The reason many small businesses have stayed away from mobile technology is that they simply don't have the kind of capital needed to pursue innovation that major corporations have. But with new forms of mobile technology like mobile ad space, you can actually gain more rewards from a smaller investment. That's why there has never been a better time for small businesses to invest in mobile marketing. If you're like most small business owners, you won't be taking a summer vacation this year. 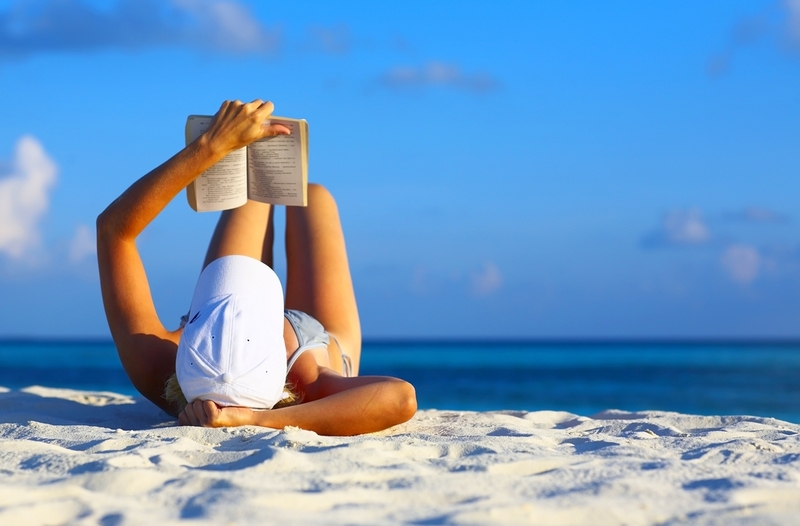 A recent study conducted by American Express found that 59 percent of American small business owners took no vacation at all last summer. Most of those people stayed at work because they were worried about missing new business opportunities, while others were held back by the high cost of vacations themselves. But what if you were to find out that taking a vacation could actually be good for your business? In fact, investing in a summer vacation for yourself could be one of the best business moves you take this year. First of all, a summer vacation is a great thing to do for your mental health. Spending long hours at work can be mentally draining, and taking a break can help you to clear your head and come back feeling mentally refreshed. Not only is this good for your own sanity, it's good for your business as well. A recent study conducted by Intuit found that 82 percent of small business owners actually perform better at work after taking a vacation. To some, this study might seem like it's simply clarifying what's already obvious, but the plain truth is that most small business owners don't take a vacation in the first place. That means that most entrepreneurs are missing out on the chance to refresh their mind and increase their workplace performance. So what if you miss a few calls while you're away? Your increased performance when you get back will more than make up for a few missed phone calls. As anyone who has ever gone on vacation knows, a summer vacation is good for your body. For some, physical recovery might mean massages and lounging on the beach, while others might simply need some time to sleep in and allow their body to go about its natural rejuvenation process. It's great to give all you've got to your business, but remember that you're not very useful when you're sick, so it's worth taking some time to preserve your physical health. Contrary to what many entrepreneurs seem to think, vacations can actually benefit your business itself, beyond the obvious physical and mental benefits they provide for tired business owners. Why? Because summer vacations often lead to new and innovative business ideas. It might be exposure to a new culture, or simply the opportunity to hear yourself think. Whatever it is, you vacation time is key to clearing your head of the noise of everyday life to make way for fresh ideas. Even if you run your business from a virtual office, it's important to simply "get away from it all" sometimes. It doesn't have to be a long vacation - even a long weekend trip makes a huge difference for you business. Don't feel selfish for taking a vacation. Feel selfish for not taking a vacation, because avoiding your vacation time means that your whole business will suffer. 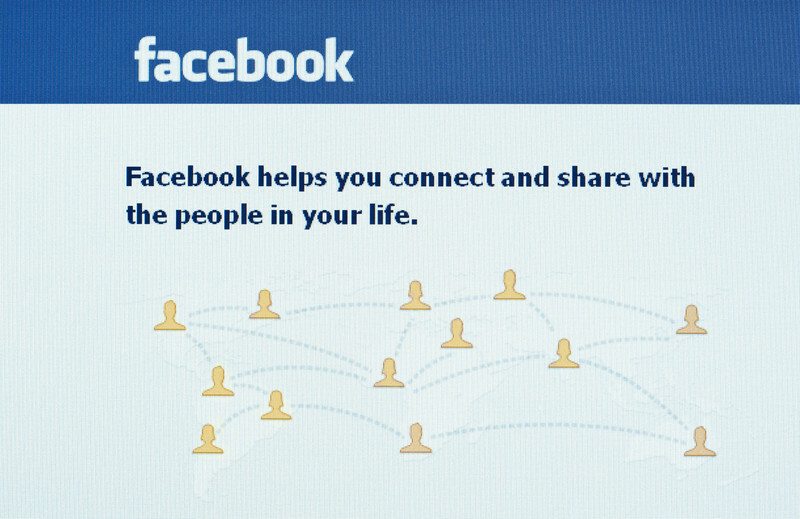 Facebook Pages: Are They Still Relevant for Virtual Office Based Businesses? Yes! There is much debate these days over the continuing relevancy of Facebook pages. Stories about failed Facebook marketing plans are becoming increasingly abundant, and it seems like almost every day there is some new critic predicting the demise of the social media giant. So, what's a virtual office based business to do? Should you leave Facebook behind and concentrate on newer social media platforms like Twitter and Tumblr, or even eschew social media altogether? The reality is that, even though all kinds of businesses are turning away from Facebook, this form of social media is here to stay, and leaving Facebook behind could mean a huge loss of sales for you and your virtual office based business. If Facebook is still relevant today, why are so many companies leaving it behind? After pursuing Facebook marketing plans and seeing poor results, many businesses have started to concentrate their marketing efforts elsewhere. But the problem with many of these failed campaigns was not the medium, but the message. In other words, it wasn't Facebook's fault that the marketing efforts failed. Some marketers are quick to blame the tools when really it was poor practice that produced poor results. Facebook is still relevant, but only if you use it properly. That means: don't leave your page unattended for too long, don't let your page attract too many negative or spam comments, and don't overwhelm people with 100 posts per day. A well-executed Facebook marketing plan can still yield results, as long as you go about it professionally and invest the proper time and resources. Let's take a moment to look at Facebook pages compared to the other rising social media giant: Twitter. The micro-blogging site is certainly becoming popular these days, but its marketing effect is limited. Studies have found that the average user will spend up to five times longer on Facebook per day than they do on Twitter. That means that the average Facebook user has more time to come across your page every day, and more time to interact with your content. In addition, Facebook is a much better branding tool than Twitter. While Twitter is great for keeping users updated and sharing interesting content, Facebook allows you to create a well-branded page that really tells users who you are and what your business is all about. Despite cries to the contrary, Facebook still reigns supreme in the social media world. In terms of overall reach, a 2012 study found that a full 54 percent of users access Facebook regularly, compared to only 10 percent for Twitter, 13 percent for LinkedIn, and 8 percent for Google+. And, even if Facebook use has declined since then, its competitors still have a long way to go if they want to catch up. If you're running your business from a virtual office, you have another great reason to use Facebook pages as part of your marketing plan. With a "virtual" location, you need to leverage every method possible of connecting with people. So, don't be scared away by the bad press - Facebook is still relevant, and it doesn't look like it's going away any time soon.